This is another spontaneous trip with my cool friends at work. 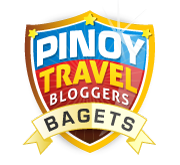 A trip we consider as a continuation of our Operation Palaboy. Hmmm... No itineraries and concrete plan, really. We just wanted to chill. 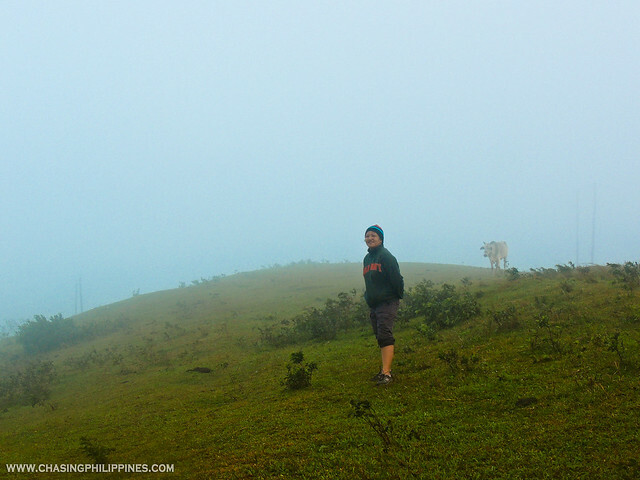 Mount Banoy is located at Lobo, Batangas and is considered a minor climb with a difficulty level of 3/9. Major jump-off point is at Sitio Malabnig, Brgy. Balatbat, Lobo but you can also try Talumpok East as your jump-off point just like what we did. 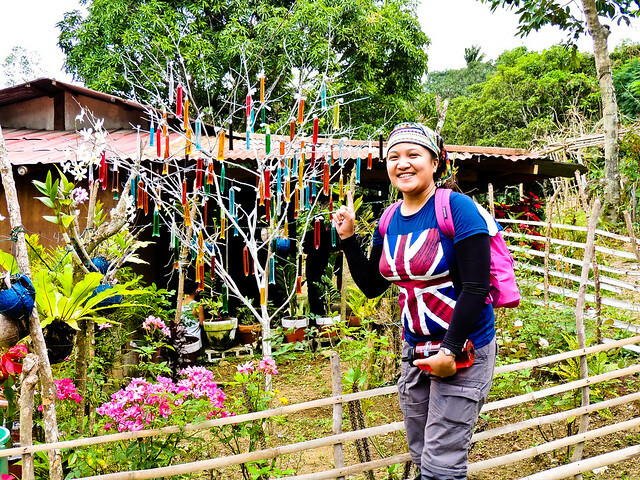 For Talumpok East jump-off, you'll pass by a lot of sitios; you also have the option to take a tricycle and start the trek from a small sari-sari store where you can see the map of Mount Banoy. 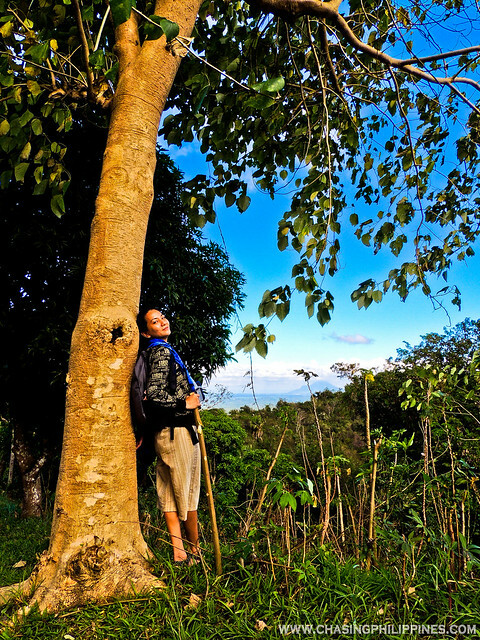 When we learned that we need to deal with 'Forest Rangers', we got so excited. We do not want to take any shortcuts; we did it the hard way - trekked in a paved road for about 3 hours. Found it more difficult to trek in a paved road than on a muddy trail... especially if you were wearing trekking shoes. OMG! This cemented road was killing me! How to Get There, for real! From Buendia, take a bus to Batangas City (CALABARZON). Ask the bus driver to drop you off at the Grand Terminal. Fare is Php125.00. 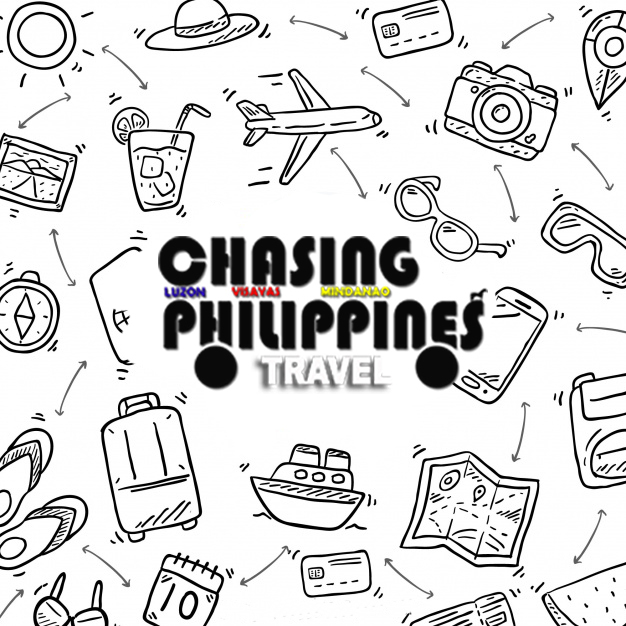 At the Grand Terminal, take a jeepney to Balagtas, fare is Php13.00. 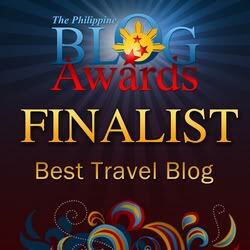 At the town proper, look for the terminal of jeepneys to Dagatan. Ask the driver to drop you off at Sico, fare is Php25.00. Again, keeping the lesson I have learned from my 1st climb, "Climbing is not a sports; it's not a race", we enjoyed the beautiful spots in the different sitios we passed by. It was so great to see the locals flashed their warm smiles at you, greeting you and making some small chit-chats. I even learned that some locals will go to a noontime show to promote their local product, Walis Tambo. 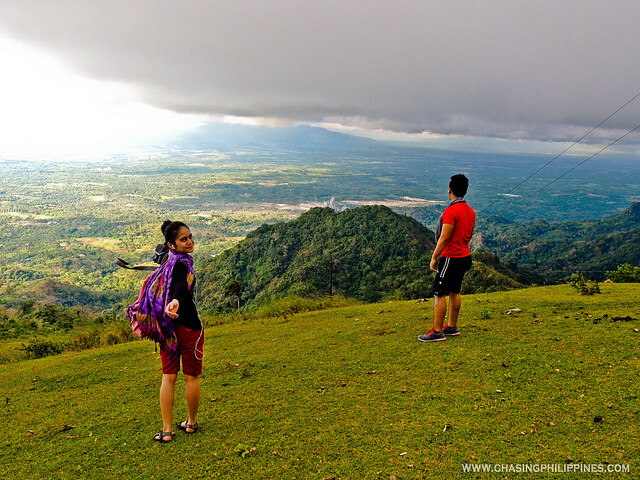 The whole town of Lobo and Batangas City can be seen once you reached the grassland. Seeing the Verde Island, the sea lane, and the port gave my friend some emo moments, he wanted to go back home. At last, after half an hour or so, we reached the campsite. As how my friend described it, the contours of Mount Banoy is like the one in Windows Desktop. The campsite is so wide, we were so happy; we kept on jumping, running, and shouting for joy. Not to mention, we were the only campers that day. Ehem! 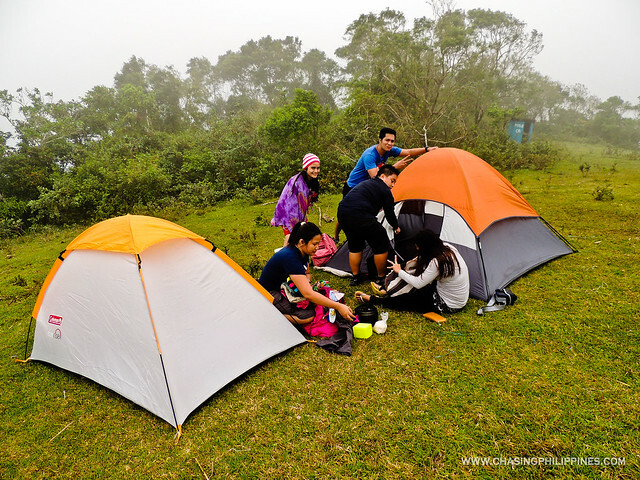 Since, it was too foggy, we were not able to see the sunset; we just immediately pitched our tents. Whew! Sure, this'll be a long night. Camping with friends is really fun! 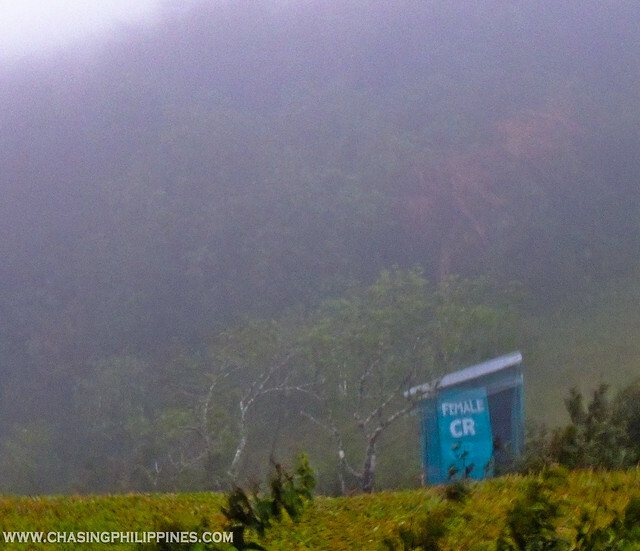 Comfort Rooms are available in Mount Banoy. Quite weird though, the male and female CRs are far from each other. Too far, it would be like a 10 minute trek. After our quick dinner, we were not able to do a lot of socials that night since the wind was so strong, it gave everyone a chill. 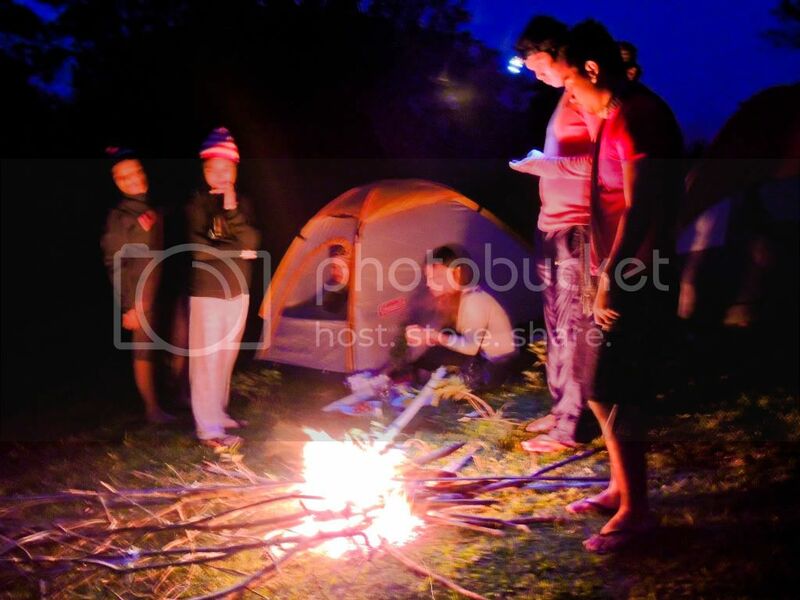 We did not have any choice but to set up a bonfire to keep our bodies warm. I woke up at around 4:30 am to prepare breakfast for the group and to have my semi 'Me' time, thanking God for another opportunity to see the beauty of His creation. At 5:30 am, it was still too foggy, we were not able to see the sunrise. 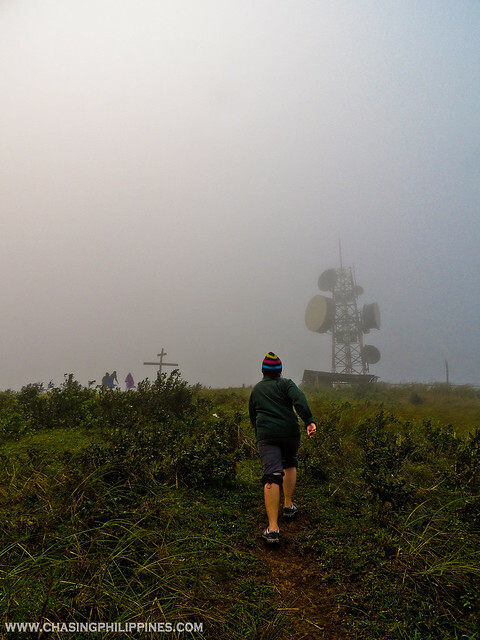 Hoping that we could witness the sunrise from the Summit just like what we experienced in Mount Gulugod, we started our trek to the summit before 6 am. 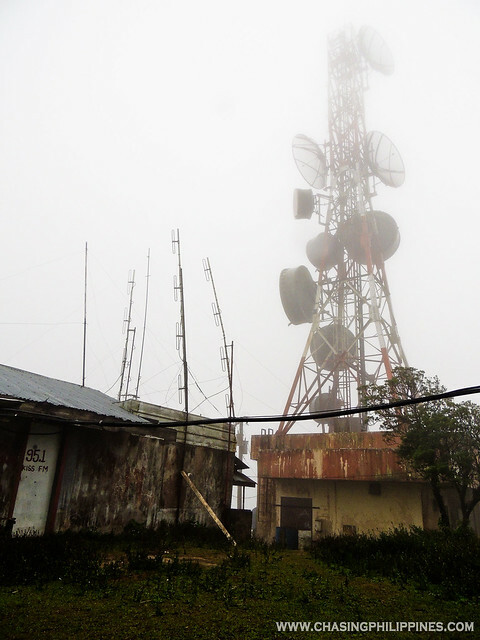 Make sure to pass by the 2 Must-Sees of Mount Banoy - the Cross and the Wireless (Towers). 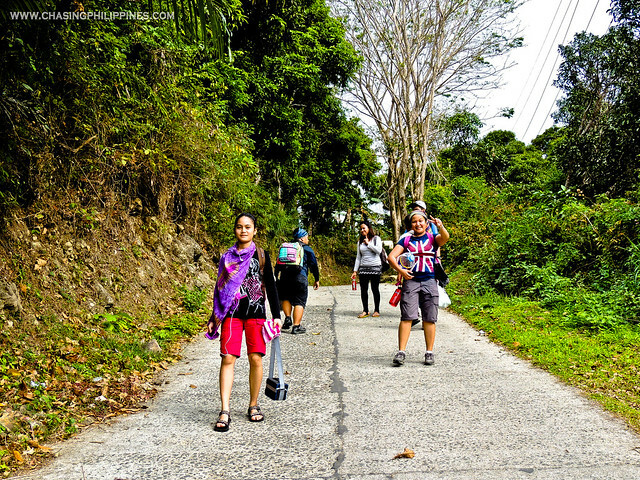 This trip to Mount Banoy with Sidetrip to Talumpok Falls cost Php346/pax (food and softdrinks not included). Click here for our sidetrip to Talumpok Falls. 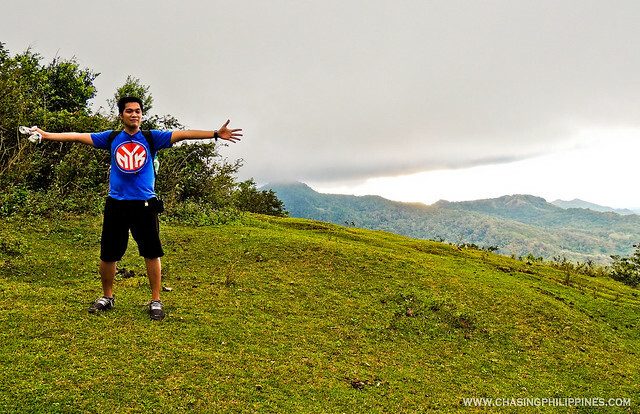 gandang ganda rin ako sa trail ng bundok na to... ang babait pa ng mga locals dito.. The picnic at the peak of the mountain is really scenic. It must make the climb worth it. sa Talumpok East din ang jump-off nyo? It must be scary to go to the CRs by yourselves! :) No wild animals around the campsite? That place looks really great. 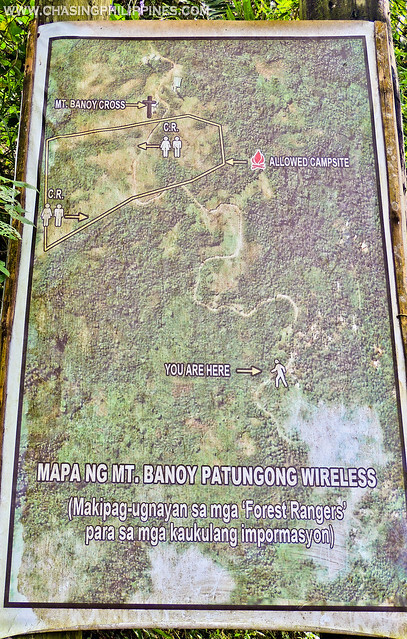 buti na lang at meron CR para hindi na maghanap ng mapagtataguan if nature calls. It's been decades since I last visited Lobo although we stayed at a place near the beach. I remember the road to Lobo wasn't that nice yet. You know I've seen almost the same view (The whole town of Lobo and Batangas City can be seen once you reached the grassland) when I was eating bulalo in one of the stops in Tagaytay. Anyway, the cross landmark looks amazing. 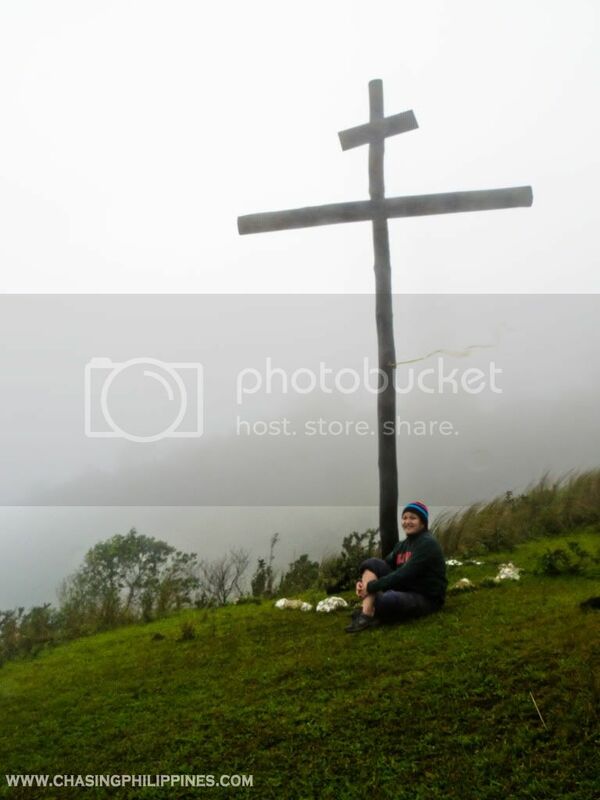 Is there a story behind the cross? That I wasn't able to check. 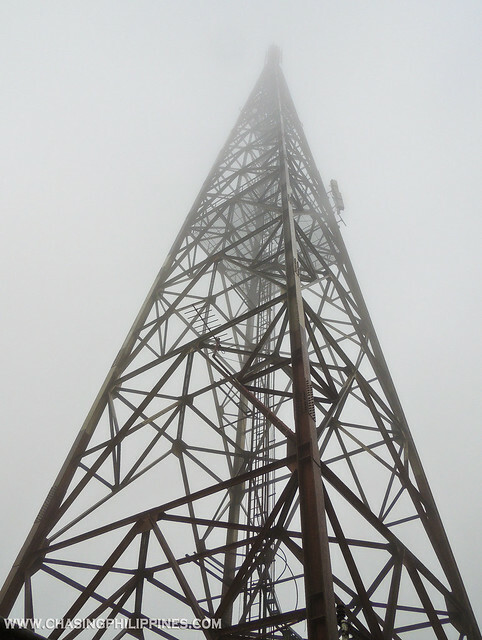 When we went to the summit, the only person that we saw was that employee working in the Wireless. Seemed like he just woke up, so I didn't bother to make some chit chats. But maybe, I can ask my colleague about that. The Road at Mount Banoy was really good. It's cemented. The sidewalks, walls, and waiting sheds are also painted with colorful flowers. Cute. It's fun to see. Wala naman pong wild animals sa campsite. Puro farm animals lang like cows.